Supreme Court directs States to install CCTV cameras in all the jails; Asks states to consider installing CCTV in police stations and lockups, Says human rights commission must in every state; mandates two women constables in every police station. In a move that will tremendously help check the human rights violations inside jails and police stations, the Supreme Court has given important directions. Apex court has directed all states to install CCTV cameras in jails and asked them to consider installing CCTVs in lock ups and police stations. Court also mandated two female constables in every police station. It said that states where human rights commission does not exist, the state should set up the same. 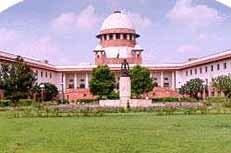 The apex court also directed to fill up the vacant posts of State Human Rights Commissions within three months.